« What Can The World Learn From Texas About Frac Chemical Disclosure? 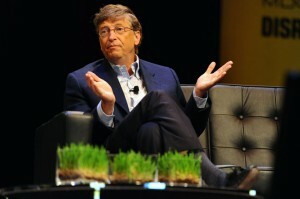 Did Bill Gates just call the solar panels on my house cute? “If you’re interested in cuteness, the stuff in the home is the place to go” was the line most often quoted from his talk at the Wired Business Conference in New York City. 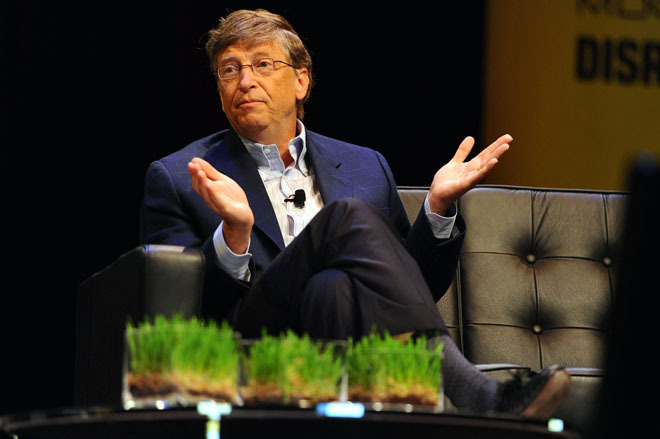 Headlines declared that Bill Gates thinks clean energy is ‘cute’ and Gates seemed to suggest that people who were serious about energy should be looking to innovation in nuclear and other technologies. That set off a firestorm of responses among clean energy advocates who point out, correctly, that the cost of renewables is coming down, the clean energy market is growing, and many countries are leaping ahead of the US in terms of public investment and incentives. According to a UN report released May 9, renewable resources are plentiful and could provide as much as 77% of the worlds’ energy by 2050. According to the report, renewable energy investments globally could be in the trillions of dollars by 2030. The brake, according to the UN, is not technology. It’s governance and policy that stand in the way. To get beyond cute, we need advances in policy that create an energy market friendly not just to fossil fuels but to renewables too. But what does it mean for policy to support clean energy? A couple of weeks ago, Deutsche Bank released a report that says: “there has been a very substantial growth in [clean energy] investment in China, and something of a shift away from Europe and the US as the centers of clean energy investing.” The implication is that America is being left behind. But here’s the kicker. Deutsche Bank then says: “clean energy private investment is still dominated by the US.” To me, that’s America’s ticket to leadership in the trillion-dollar market of the future. Create the rules of the game that allow clean energy to compete and innovation has a shot at taking clean energy well past cute, all the way to super-model status. Today’s rules of the game make it hard to plug renewables into the grid on parity with fossil fuel sources. Buildings can waste nearly half of their energy – yet utilities aren’t rewarded for “buying” efficiency. We can produce electric cars that cost less than three cents a mile to drive (compared to more than 13 cents for a gasoline-powered car), but where do we plug them in? How many households and businesses can easily figure out their energy run rate – and the most cost-effective steps to cut bills? Shouldn’t there be an iPhone app for that? Clean energy can plug into the grid, both for distributed sources (which work really well in some places, like cities) and for utility-scale renewables (which could work well in other places, like deserts). No need to disparage one or the other – let them compete fairly and openly for market share in different places. Information is transparent and accurate. Make it easy for buyers to see the energy footprint of homes and CFOs to track energy usage floor by floor. Yes, there ought to be an iPhone app for that too – not just an opaque monthly bill. Map the pollution created by power plants. Disclose hydraulic fracturing fluid. Hidden information kills free markets. Efficiency has a market. Let utilities “buy” efficiency just like they “buy” new power plants and innovators will find ways to aggregate efficiency across cities and real estate portfolios to meet that demand. Cars can be electric – and be “batteries.” Electric vehicles can be batteries for intermittent renewables like solar and wind. They can also be the least expensive cars on the road today. If we could easily plug them in, who wouldn’t want that? Subsidies give way to rules that create a level playing field. Governments currently dole out massive subsidies to the oil and gas industry. They subsidize renewables too, but comparatively less. Worldwide, some reports suggest that governments pay over $300 billion in subsidies for fossil fuels and a mere $55 billion for renewables. Frankly, waiting for more and more subsidies alone is a losing strategy, especially in times of fiscal constraint. What if we focused instead on getting the rules right, so that renewables could plug in and compete on more even footing? And what if we focused on getting information into the marketplace so that local and regional renewable opportunities were clear to end-users? How important is it to get this right? By 2030, the global population will reach 10 billion people – that’s a billion more than originally expected. Most will live in explosively growing mega-cities, especially in fast-growing economies in China, South Asia, and Latin America. Can we provide so many people an economic future without destroying the planet? Only if we take down the barriers to private sector innovation and rewrite the rules of the market to let clean energy in. Here’s something else Gates said: “If we don’t have innovation in energy, we don’t have much at all.” If we don’t have innovation in policy, we won’t have enough innovation in energy. This entry was posted in Climate, Energy Efficiency, Grid Modernization, Renewable Energy. Bookmark the permalink. Both comments and trackbacks are currently closed. Is bill now working in the solar energy ?